moments to set things up then grabs you by the hair and drags you into one of the most gripping, horrifying, impossible-to-stop-reading books of 2010. To say Tom Malafarina knows what his readers want, wouldn’t serve justice. 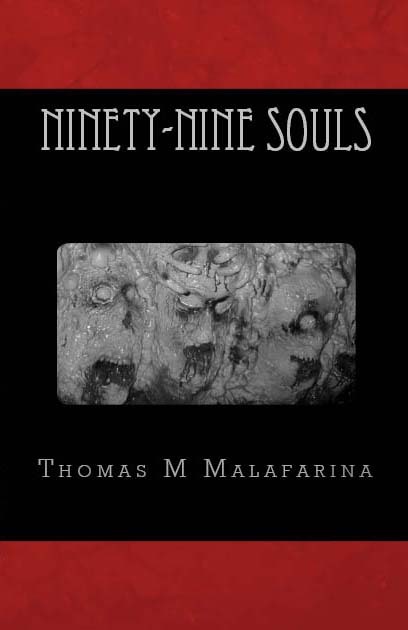 Ninety-Nine Souls ignites that creeping essence we seek from horror and Malafarina shows us he has no boundaries. Buy the book, grab a beer and tell the significant other to keep the refills coming. Seldom do I read a novel twice, but this one deserves an extra star.